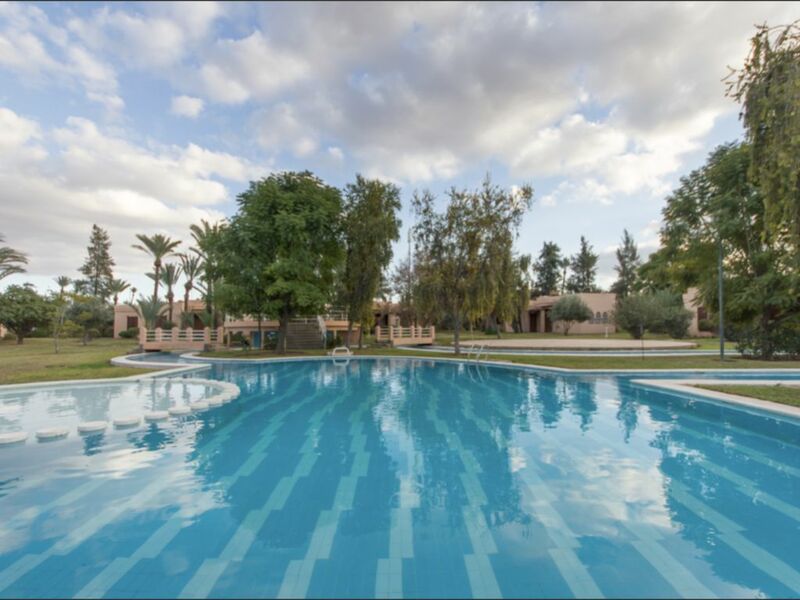 Pleasant traditional Moroccan Villa of luxury consisting of three bedrooms and having a private covered parking (free), tennis court a large pool with lagoons and solarium in a beautiful residence secured 7/7 in the heart of the Palmeraie of Marrakech and only 10 minutes from downtown. - A large living room with Moroccan lounge, dining room with stone fireplace, reading area and bathroom. - A beautiful covered & flowery terrace giving access to the garden, the swimming pool and the tennis court. - A fully equipped kitchen with pantry & laundry. - A master suite with queen size bed, large covered loggia and bathroom.